After last year’s list of top 5 video game witches, I’ve decided to carry on this tradition of Halloween top 5s. This year I’ve popped out a list of the top 5 video game ghosts, and am now giving it a counterpart list of the top 5 video game skeletons! Now, lists like this are always difficult. Narrowing almost any category down to five is always a hefty task, and considering that skeletons have been a staple in video games for decades, a category like this will mean there will always be contenders I forgot to mention or will remember after the fact. Oh well, I guess I could always make a revised list later if need be. Keep in mind that the skeletons I’ve included are all from games and series that I’ve played. So my sincerest apologies to Grim Fandango fans, but if I haven’t played it, I’d feel awkward placing its characters above those I’ve actually had experience with. Simply put, don’t hate me for not listing things on my list. It’s my list. It’s only five. I can’t please everyone. So without further ado, the top 5 video game skeletons! Much like Boos (and many other Mario enemies), Dry Bones first appeared in Super Mario Bros. 3. These undead Koopa Troopas are among Mario’s most persistent foes. Not only have they shown up in numerous games, but they only stay down for so long. While most of Mario’s enemies will be defeated with a jump to the head, Dry Bones will merely crumble for a few seconds, before picking himself back up. Their placement in the Super Mario series has made them iconic, but their undead persistence is what makes Dry Bones so great. Perhaps the oddest depiction of the Grim Reaper, Greg pulls off one of the best “man behind the curtain” gags in gaming. His introduction at first seems dark and foreboding, before he steps into view to reveal his short stature and squeaky voice. He’s an expert of the nature of game overs, and has a perennial hatred of cats (whose nine lives make his job incredibly difficult). 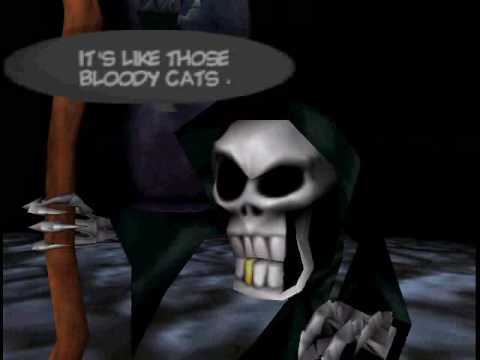 In case the first chapter of Conker’s Bad Fur Day weren’t surprising enough, Greg the Grim Reaper’s introduction is proof that Conker is a game that just keeps the surprises coming. Though Scorpion’s true face is usually hidden underneath a facade of a human face, which in turn is hidden underneath a ninja mask, Scorpion is actually an undead warrior, complete with skull face. So he totally counts. 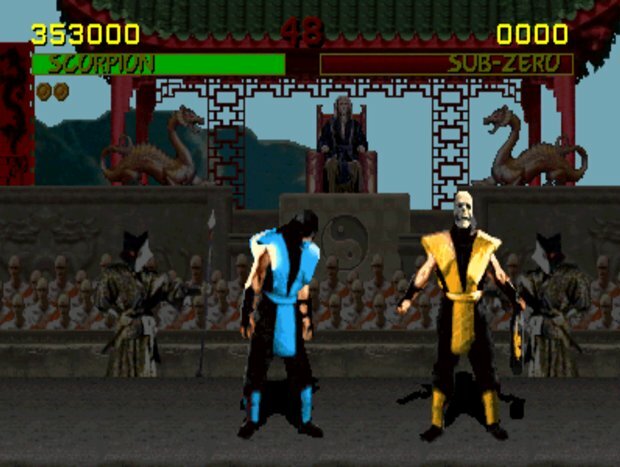 Scorpion’s undead self make him a particularly powerful Mortal Kombat warrior, with otherworldly abilities that make him an exceptionally deadly opponent. A badass ninja on the outside, a horrifying undead warrior on the inside, it isn’t too hard to see why Scorpion remains one of the most popular Mortal Kombat characters. Skull Man is technically not a skeleton, he’s a robot. That’s the only thing preventing him from topping this list. He still makes it this high up despite his robot-ness, however, because he’s Skull Man. Seriously, look how badass he is! He has the coolest character design out of any Robot Master in the Mega Man series (which is saying something), has an awesome stage with cool music, and his arena is made entirely out of skulls. What heinous acts did Skull Man have to do to make that place? Even as an 8-bit sprite, Skull Man looked like an imposing figure. Let’s forget the fact that his mimicry of Mega Man’s moves make him one of the easiest bosses in the game, and that the power Mega Man earns from defeating him is just another Leaf Shield duplicate, everything else about Skull Man is awesome. 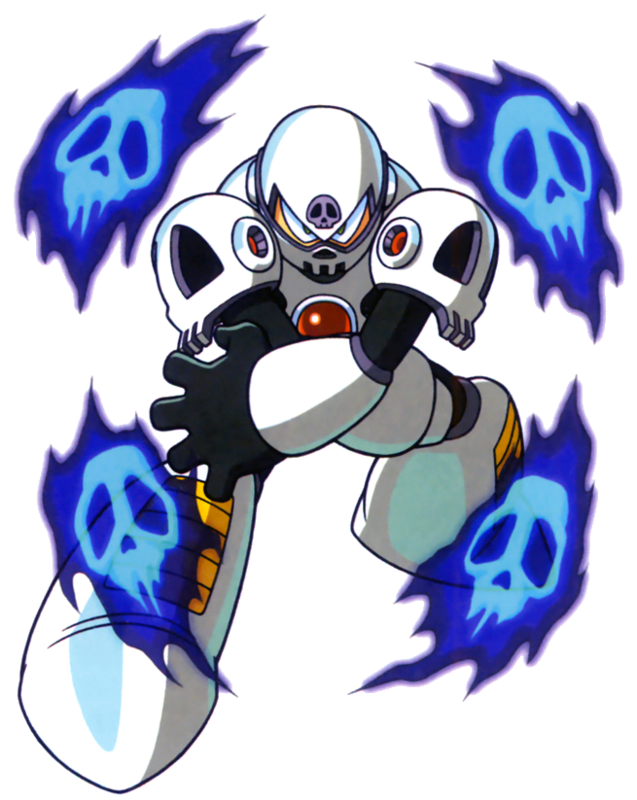 If the Mega Man series ever sees a resurgence, and old school Robot Masters are brought back for whatever reason, Skull Man is a must to make a return to the series. So cool. 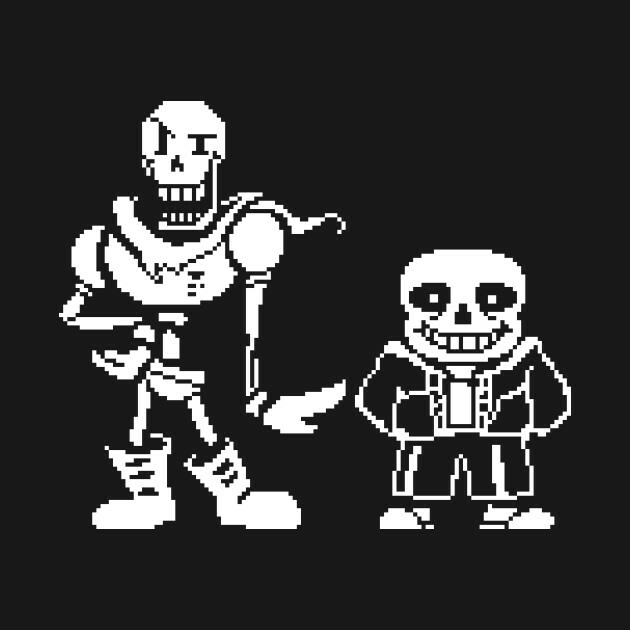 Sans and Papyrus are skeleton brothers in the monster world. Sans is the shorter, fatter (big boned?) one with a penchant for bad jokes, and Papyrus is the tall, dimwitted one with a love of spaghetti. Like many of the characters in Undertale, their character development depends on the choices the player makes. Should you go the pacifist route and spare every creature you encounter, they’ll become best buds with the player. But if you go the way of a madman and kill every monster in battle, Papyrus will do his best to put an end to your tyranny, while Sans will serve as your final judge, jury and (potential) executioner as the final boss. Both Sans and Papyrus are bursting with personality and charm, and perhaps better than any other character, represent what Undertale is all about. For a couple of skeletons, they certainly are fleshed out. Great list! Your mention of Sans and Papyrus, and their place at the top spot, reminds me I should play Undertale one of these days. Can’t really say I personally have ever thought of favorite skeletons in videogames, but I’m a bit surprised to see no mention of Daniel Fortesque, Grimm Fandango and Death from the Castlevania series given they are some of the most iconic boney characters in the medium. Then again, I struggle a bit rememembering such a specific category of characters. Would Nito from the Souls series count as one? Or perhaps those cursed bonewheels from the same series. I was really tempted to simply list “every skeleton from Dark Souls” on here…perhaps I should have. For Grim Fandango, I mentioned in the intro that I haven’t played it, and I was going more for personal experience. I finally recently played Undertale and have to agree with you about Sans and Papyrus! They’re just the finest skeletons. I’ve always been a big fan of Dry Bones as well. Although he’s really only a skull, Murray from The Curse of Monkey Island would’ve been near the top had I made a list like this myself! Have you ever played that one? Murray is certainly one of the main highlights for me! I agree wholeheartedly with your choice for number one. I loved both the characters of Sans and Papyrus throughout all routes of Undertale. They’re so interesting in their own rights. Interesting list! 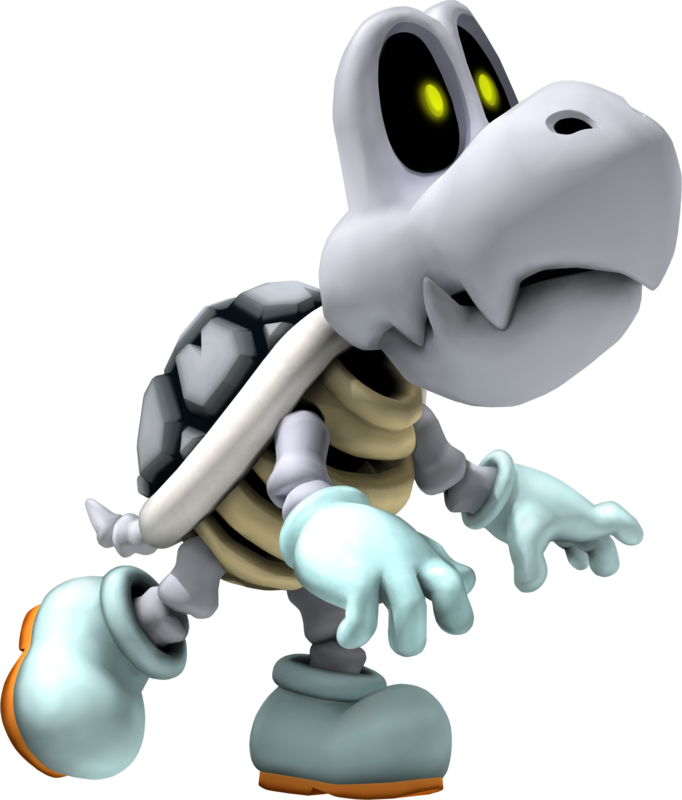 It was always great to see Dry Bones make his cameo in the Mario series! cool! sans is a big favorite of mine, because he’s quite HUMERUS! Next Next post: November is Animation Month!